Janet Spencer, Buyer Solutions’ Founder and Director, has been a Buyer’s Agent since 1995. 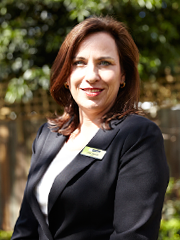 Over that time, Janet has supported property buyers as a real estate broker, Buyer and Vendor Advocate and property negotiator. She consistently achieves better real estate outcomes, without crossing the ethical line. David’s sales, marketing and customer service credentials boost his buyers’ agent capabilities. His real estate skill is grounded in both personal and professional experience. Many clients have gained advantage through his persistence to uncover the right property. A confident communicator, David is a formidable property negotiator. Often seen at Melbourne property auctions, you can trust him to bid well for you and maximize your chance of putting up the sold sticker. When he isn’t advocating for vendors and buyers, David enjoys performing guitar at various Melbourne venues. With a strong background in customer service, Megan commenced her real estate career in 2011 working in a small, boutique agency. Since then, she has spent time working in a number of high profile real estate offices across Melbourne. Megan now holds the position of Senior Property Manager at Buyer Solutions. A dedicated and hardworking individual, Megan prides herself on delivering a prompt and polite service – an attribute that sets her apart and ensures her ongoing success. She is also an empathetic and caring person, who excels at managing the relationship between tenant and landlord, and always has both parties’ best interests at heart. Whether a landlord with an investment property or a potential tenant wanting to find a place to call home, Megan is committed to delivering the best possible service with everyone she comes into contact with. Megan genuinely enjoys meeting new people and rising to the many challenges her position presents. She is constantly improving her skills by attending workshops and seminars to ensure she remains at the forefront of her industry. By doing so she remains up-to-date with any legislative changes to the Residential Tenancies Act, as well as new technology advances that makes sure her clients continue to receive an outstanding service. 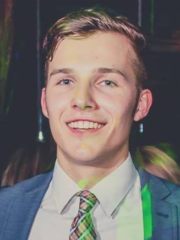 Fergus Sweetland joined Buyer Solutions in June 2018 as Leasing Assistant. 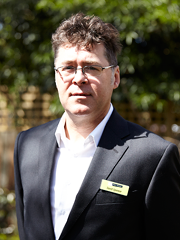 Tenants and landlords can see Fergus at open for inspections around Melbourne of our rental properties. He can help you either at the open or at a privately scheduled appointment. Fergus specialises in finding homes for our relocating clients. If you are wanting to move from interstate or overseas or just need help, please get in touch. Fergus’ interests include music, music production and sound engineering. He also has a lay interest in design and architecture. With great communication skills and a super friendly personal style, our clients and professional referrers love working with him. Callum is a key supporter of the Buyer Solutions business, working in administration and leasing. 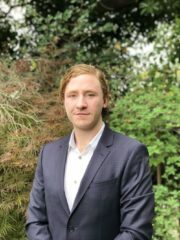 Callum recently completed his Degree in Environmental Engineering at RMIT and has a keen interest in sustainable construction. His organisational skills benefit our office and clients keeping things running smoothly. Database research is his keen interest. Callum is considering studying further in property related fields. You can contact Callum to book an appointment to meet with one of our Agents by phoning the office on + 61 3 98168555 or email info@buyersolutions.com.au. Quick EnquiryContact us for your free 45 minute consultation.